A 22 year-old man has been arrested in Kansas, following an FBI sting operation. The man was charged with attempting to detonate a bomb at the Fort Riley Army base and was also accused of trying to provide material support to the Islamic State. John T. Booker Jr, was detained after the FBI believed he was attempting to detonate a bomb at Fort Riley, a US Army base near Manhattan, Kansas, US Attorney Barry Grissom said Friday. Sources familiar with the investigation told ABC news that it was a “classic sting,” and that the public was never at risk. US Attorney: Perimeter of Ft. Riley was never penetrated. Unknown to suspect, materials used to create bomb were inert. FBI noticed Booker in March 2014, after he posted messages on Facebook about getting “killed in jihad.” A FBI informant who approached him in October 2014 alleges Booker hatched a number of plots to kill American soldiers after enlisting in the US Army. The arrest of Booker Jr. who is also known as Mohammed Abdullah Hassan is one of a number of raids that have been carried out over the US over the past week, with men and women, who have planned attacks in the US or attempting to join the Islamic State (IS), being detained. 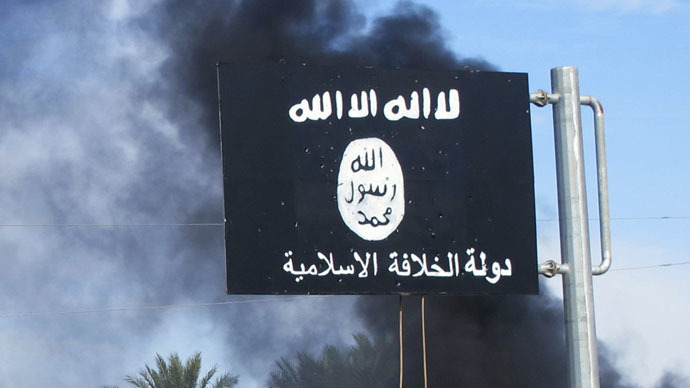 Last Friday, the FBI arrested a Philadelphia woman for attempting to join the IS. The woman had stated on Twitter that she wanted to join up with the terrorist organization. On April 2, FBI agents in New York arrested two women plotting an IS-inspired bomb attack. Over the past two years, nearly 50 Americans have been charged with either plotting attacks inspired by the group formerly known as ISIS/ISIL, or trying to join the group, according to ABC. In late March, federal agents arrested two cousins in Chicago – one a member of the Illinois National Guard – for allegedly plotting ISIS-inspired attacks. A week earlier, a US Air Force veteran in New Jersey was arrested over an IS plot. He reportedly had over 180 jihadist propaganda videos on his laptop.